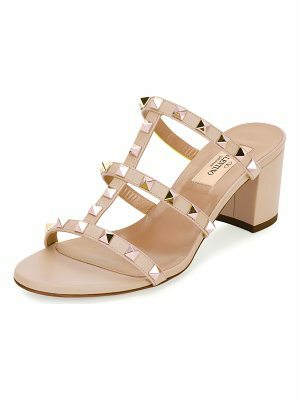 Heeled Sandals by Lipsy, Leather-look upper, Studded trims, Peep-toe design, Caged styling, Zip back fastening, Wipe marks with a soft cloth, 100% Textile upper, Heel height: 10 cm/4". Renowned for their statement party dresses, London fashion brand Lipsy channel a young, fun vibe in their partywear, footwear and jewelry collections. Dedicated to delivering fashion forward styles; look out for structured cuts, bold prints and heavy embellishment, with some lines exclusive to ASOS."